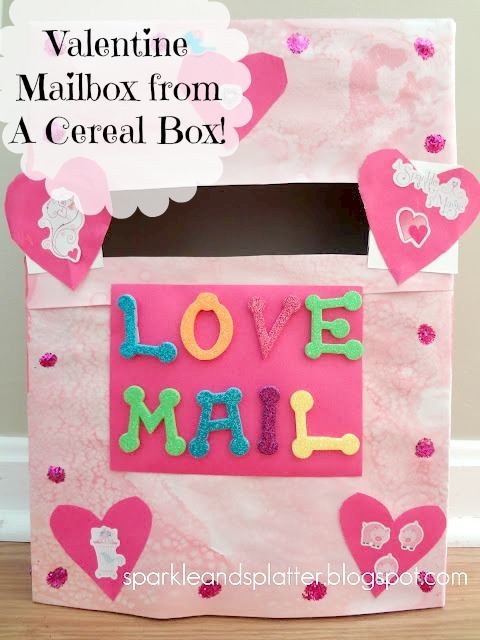 Every year we make a family Valentine mailbox. This year, we decided to get fancy and decorate it instead of a plain old box. What we do is in the weeks leading up to Valentine's Day is make little things for everyone in the family and stick them in there, then on the holiday, we unseal the box and someone plays "cupid" and passes everyone their treats and treasures...a fun family tradition! Now seal the top shut with some tape...so there is no peeking! Click here to make your own salty paintings! Thank you, the kids are so excited to open theirs! Thank you so much! Just stuck a button on there too! Thanks for collecting such great ideas, love them! Love it! such a cute crafting idea! Might I share something? I find my kids love making projects even more if there's music or an audiobook playing in the background. I downloaded some children's stories for free at http://www.twirlygirlshop.com/stories-for-kids, if anyone is interested. Adorable idea! I will have to try it next year!